As users and devices have grown exponentially, it has created an increase in demand for data networking capacity with carriers and enterprise customers, of mobile and connected devices, streaming video-based applications, and the capabilities of the internet of things (IoT) technology, has created new complexities on the ability to quickly deliver capacity and ensure consistent quality as data moves from web to mobile to machines. These markets need solutions that can meet these challenges and optimize capacity and capabilities across their network. Carriers and Enterprise customers need to be able to offer dynamically updated security services that incorporate network activity and customer needs at line-rate that can support Terabits of throughput. NoviFlow improves on the traditional approach to network security by making the network fully programmable, so the network fabric itself can be dynamically configured to participant in cybersecurity delivery and optimization. The combined solution allows Palo Alto Networks and NoviFlow to offer dynamically allocated security services for larger scale deployments through optimizing the traffic flows based on security device configuration and services offered. 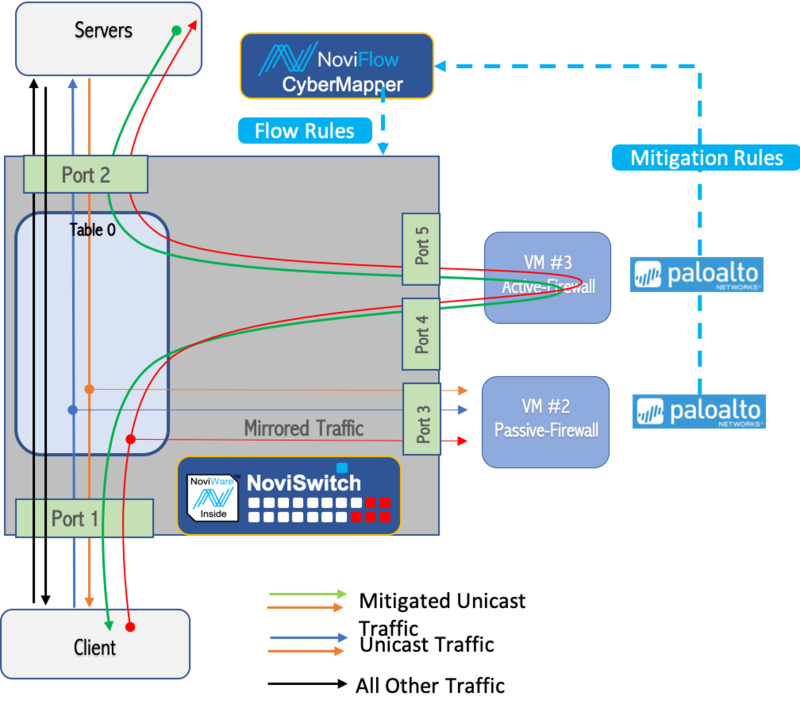 NoviFlow directly integrates SDN network capabilities with Palo Alto Networks security services, effectively moving Palo Alto Networks Security services onto the SDN enabled network.